Spring Fundraiser 2018- Totally 80’s! Bonita Canyon Angels Baseball Night! Dine Out at THE STAND this Wed & Thurs to benefit BC! It’s Book Fair Week April 15-18th! BC Angels Baseball Night…Purchase Tickets now! 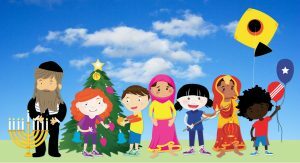 The Holiday Season is in full force and BC Connections wants to take this opportunity to wish you all the happiest and healthiest holiday season by embracing all the beautiful customs and traditions that enrich our diverse BC Community.